The sound of coffee and tea echoes in nearly every place wherever we go in India. Tea is undoubtedly one of the largest consumed drinks in the country. However, its consumption development seems to have turned down in 2009-10 to 0.70% measured up to 3-3.5% in the preceding years. 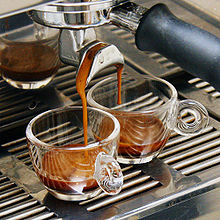 Barista Lavazza was launched in February 2000 by Barista Coffee Company Limited, to re-establish the ambience and experience of the classic Italian environs Espresso Bars in India. Barista Lavazza aspires to offer a comfy place for people to unwind and relax over a cup of coffee. Barista Lavazza has additionally been nominated as a 'Superbrand', three years in succession. The new range in barista presents some unusual cold drinks to beat the heat in summer. 'Hawaiian Summers' list of options consist of mouthwatering delicacies and chilled beverages in natural flavors. The Hawaiian drinks similar to Mango madness, Green Mango iced tea, Green Mango Granita, Green Tea mojito, Panna mojita & Wild coffee mojito are the ultimate thirst busters for the season. The Hawaiian bites present an entire new choice of delicious and healthy sandwiches like Harissa Mushroom Sandwich, Paneer Korma Sandwich, Chicken Korma Sandwich & Chicken mince sandwich. Not just this, the Hawaiian unique collection consists of a variety of lip smacking and appetizing desserts in the form of Carrot & Raisin cake, Banana Walnut cake and seasonal flavored mousse. With lots of natural and premium flavors like Pomegranate, Lychee, Irish, Strawberry the list of options has a variety of exciting cold coffees, fruity mixtures, classic mojitos, smoothies, shakes, iced teas and tasty sundaes.